This result tallies with a similar survey, this time among Twitter users. In the Twitter poll, 59 percent of the responders believe that virtual currency prices will surge during an economic crisis. In places like Venezuela and Iran, people have increasingly turned to Bitcoin and other digital coins to stave off the effects of economic upheavals. The price of Bitcoin has even hit premium levels in Venezuela in the past. Thus, it is perhaps not that much of a stretch for these institutions to imagine such occurrences on a global scale. I don’t think it’s so binary. If we look over the past few years crypto have had a unique correlation with high-risk assets. They have risen as investors sought additional risk. Apart from the prospects of cryptocurrencies during a recession, the survey also tried to examine the mindset of the growing cryptosphere on several aspects of the market. When asked to choose their favorite token, 59 percent of institutional responders picked Bitcoin while 46 percent of Twitter responders chose XRP. According to the result of the survey, XRP is the most polarizing of the 15 tokens considered in the study. On Twitter, 31 percent of people said XRP made the least sense to them. On the institutional side, 28 percent also came to the same conclusion — with none even picking XRP as their favorite cryptocurrency. Another interesting discovery as presented by the survey is the Bitcoin sentiment among institutional and retail investors. 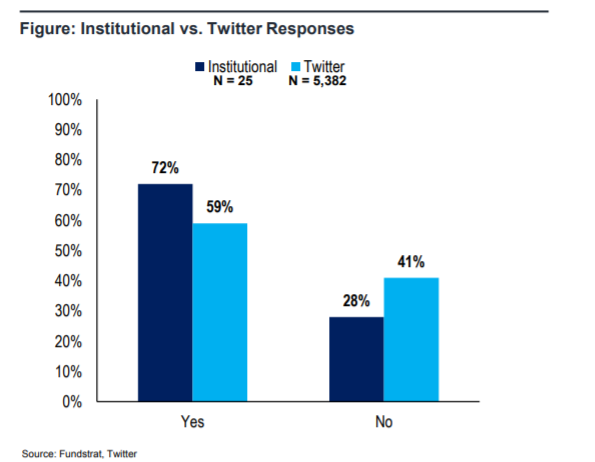 54 percent of institutional players say BTC has bottomed as against only 44 percent on Twitter. 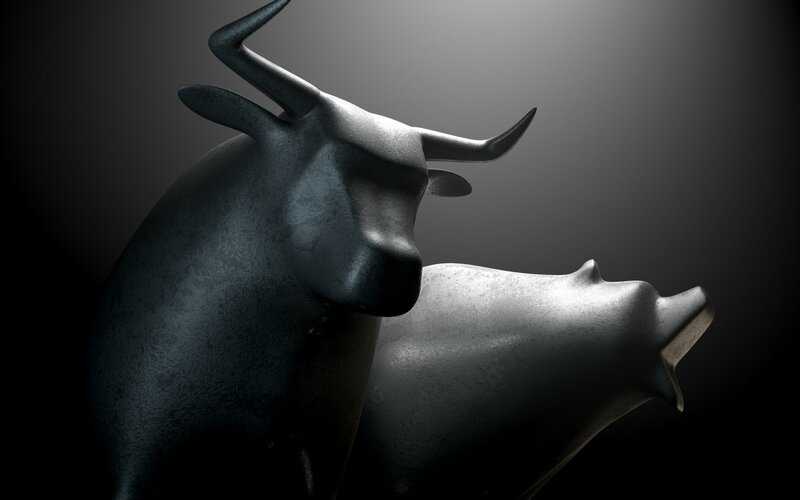 Furthermore, more institutional investors believe BTC will exceed $15,000 by the end of 2019 than retail investors. It would seem that the big-money players are bigger believers in Bitcoin that retail investors. Image courtesy of Twitter (@Fundstrat).